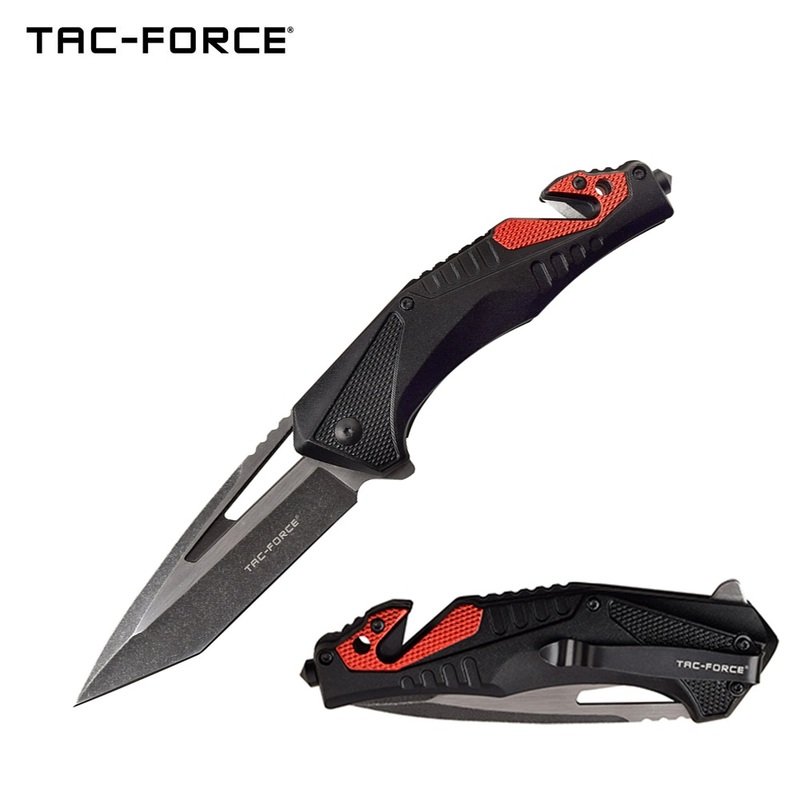 Spring loaded knife with tactical knife handle. 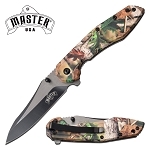 The pocket knife has stonewashed stainless steel tanto blade. 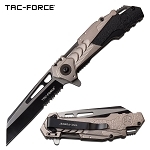 Tac Force Tactical pocket knife with assisted opening knife mechanism. 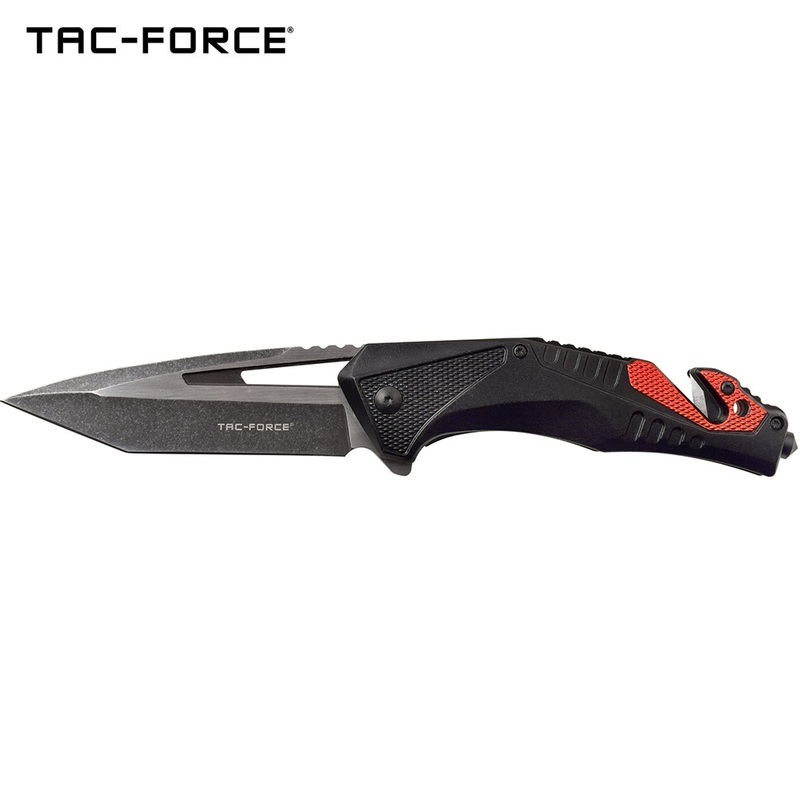 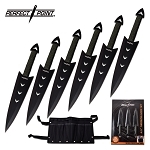 The knife has tanto blade and tactical knife handle.